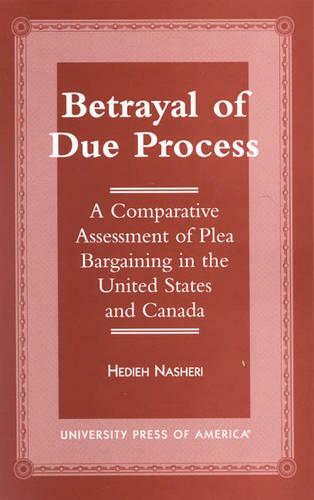 Betrayal of Due Process is a landmark study of the criminal justice systems of two common-law nations, the United States and Canada. By focusing on plea bargaining, which is one of the most dominant practices in the criminal justice system of both countries, Nasheri makes a historical comparison of guilty plea practices and ideologies. She draws on historical, criminological, sociological, and political perspectives to construct her argument. Because plea bargaining is a crucial part of the criminal justice system yet has received little scholarly attention, this much-needed book fills a wide gap in legal scholarship.